We are all in the middle of sorting through those envelopes that arrive in February, statements from all the financial institutions to get ready for tax time. Taxes are a big problem in divorces, mainly because people forget the talk about taxes. Good lawyers and good mediators should ask to include these issues, which hopefully will avoid future conflict. Know that according to federal law, your marital status on December 31 controls. Who claims what deduction for which kid, who claims the deduction for the house interest, who qualifies for special federal credits – it is all very complicated. To talk about it productively, you need information. Talk to a tax person and include that tax information in your divorce planning. Doing it right the first time saves a ton of heartache. 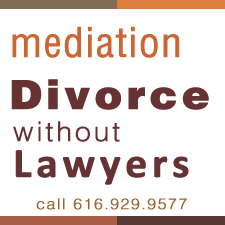 Why this mediator, not another mediator? Help, I have no lawyer, what is a judgment? We were able to stay friends, and Pat was personable and helpful.